Google Chrome is Diminishing Flash Usage, as its Expiration Date Approaches! It’s a well-known fact that Adobe will no longer be supporting Flash Player by the end of next year (i.e: 2020). Its development will be brought to a halt. When Adobe made this announcement nearly two years ago, Google was quick to announce that it would also be casting out Flash eventually. 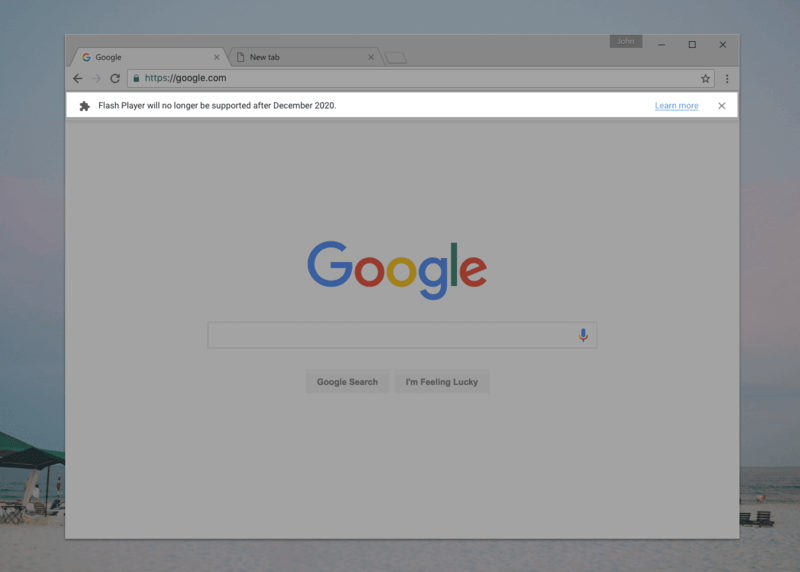 Surprisingly however, it was revealed that by July, Chrome will be completely disabling Flash for all sites, in addition to issuing a warning about the Player’s end, scheduled for next year. Ever since Adobe made the game changing announcement, Google has been adamant on making its users trust and use other technologies such as HTML5 instead of Flash Player. One thing that should be mentioned here is that Google is also making it difficult for its users to pick Flash. A couple of days ago, Chrome stopped running Flash supported content by default. In order to allow a site to run the player, permission should be granted to it manually and this process needs to be repeated every time Chrome is relaunched. Interestingly, Flash Player will be fully disabled, beginning with the new Chrome 76, slated to release in May and become fully functional by July. In order to run Flash content, first of all it will have to be re-enabled in the browser’s Settings. Then, the access will have to be granted to each site separately for running Flash content on Chrome. In addition to that, a warning bar will also be seen giving users the notice about removal of Flash after December 2020. However, the warning bar is currently being worked on and it hasn’t been finalized as of yet. The mock-up is available though, giving users a glimpse of how the warning will be displayed once Chrome is launched. It should also be noted that an Enterprise Chrome user will not be facing any hurdles while accessing Flash content. The Player will continue to work perfectly fine till the expiration date and no warning bars will be shown either. The challenging task of handling the void that will be left by Flash next year, has been assigned to the administrators by Google.